Sorry, this warmer has been SOLD OUT and discontinued as of 2014. We hope we’ll never need them, yet we couldn’t live without them. Celebrate the most courageous among us with our NEW Hero collection! 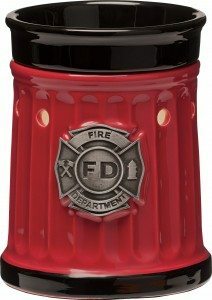 Scentsy’s NEW Firefighter Candle Warmer!